If agricultural regulations are not formed under the EU, many worry that it will be many years before Britain will create its own guidelines. Unregulated farming is of great concern to environmentalists. Photo credit: shutterstock.com. As a member of the European Union (EU), the agricultural industry in the UK has been regulated by EU environmental and food legislation. Additionally, farmers here receive approximately $3.94 billion per year in government subsidies to ensure that food standards are met and environmental regulation is followed. 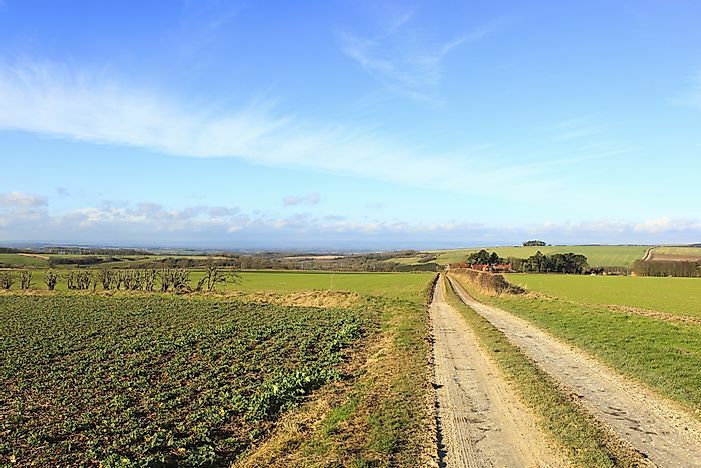 Under this system and with sufficient financial backing, the agricultural industry in the UK has made significant improvement in farming practices and in land restoration. After the UK voted to leave the EU (a decision known as Brexit), the future of farming is now up in the air, according to a recent report. Farmers currently have no guarantee of what will happen in the future in terms of government policies, subsidies, and incentives. The concern is that the UK will leave EU membership before establishing new international agricultural regulations. If this happens, experts claim it could be years before new legislation is passed. This void in policy means that the government will continue to allocate only 20% of its agricultural budget to environmental protection measures. This drop in incentives is not nearly enough to continue recent green initiatives. In response to this uncertainty about future incomes, farmers across the UK’s rural regions have reverted to drastic measures in order to make a profit. Rather than continuing with environmentally-friendly practices, they have taken to older farming habits that will secure them a short-term profit. For example, witnesses report that farmers have already begun plowing and planting crops in previously restored grasslands. This reactive behavior has negative consequences for longer term crops, the environment, and wildlife diversity in the region. If this regulatory uncertainty continues, all of the environmental progress made during the UK’s membership in the EU will be lost. The National Trust, an organization that was created after the Brexit vote to assist the UK in the smooth transitioning of environmental regulations, will be meeting with ministers to discuss future plans. During this meeting, the organization hopes to achieve several goals, including maintaining the current $3.94 billion agricultural allocation. Additionally, the Trust would like to establish just over $1 million in environmental incentives for farmers. Environmentalists warn that the UK is running out of time to act - a situation that would be detrimental to environmental and economic health. Amber Pariona is a writer and regular contributor to World Atlas.